You’ve just launched your shiny new WordPress site and you’re ready to storm the internet with your ideas or products or creativity. That’s great, but keep in mind that you can’t just let your site sit there unattended. Would you neglect oil changes on your car? Would you not clip your fingernails? Some things just need attention over time. The same goes for a WordPress site. Probably the most important maintenance task is to keep your plugins and themes updated. Most plugin and theme developers, and certainly the good ones, update their products on a regular basis. They’re fixing bugs, improving existing and adding new features. But here’s an even more important reason to keep updated, security. Security holes are constantly popping up in the online world and the WordPress environment is no exception. 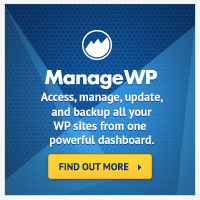 Fortunately the huge WP community is watching for problems and they’re quickly identified. And fixed. And that means patches to plugins and themes. And that means updates. Not updating your themes and plugins makes your site vulnerable. We offer an affordable maintenance package that includes managed hosting provided by our partner WiredTree and weekly updates to all your plugins and themes as well as backups, proactive security, spam comment deletion and database optimization. Host your site on the fastest and most secure server and let us take care of the housekeeping.